These forests are also home to elephant, leopard, forest buffalo, chimpanzee, over a dozen monkey species, and an ever-increasing human population. Local law enforcement from the Institute Congolaise pour la Conservation do la Nature (ICCN) lacks the resources to control the myriad threats from agricultural expansion, bushmeat hunting, illegal logging, illegal mining, and ivory poaching. The Okapi Conservation Project (OCP) works in and around the Okapi Wildlife Reserve to support the work of ICCN and improve the condition of local people whilst reducing damage to the environment. OCP provides direct support to the local ICCN operation with healthcare, housing, equipment, supplies, training and more, enabling them to greatly increase the range and effectiveness of their activities. Its agroforestry programme provides seeds and seedlings, as well as training, for local people to improve their farming yields from existing land using sustainable practices. This has helped spread the conservation message through remote communities, along with practical techniques for improving their livelihoods and limiting their impact on the ecosystem. Further social assistance is provided with funding for schools and health clinics, fresh water supplies and establishment of Women’s Groups running small enterprises. Tusk has supported OCP since 2015, providing support for the expansion ICCN patrols, improving their effectiveness and their reach within the Wildlife Reserve. 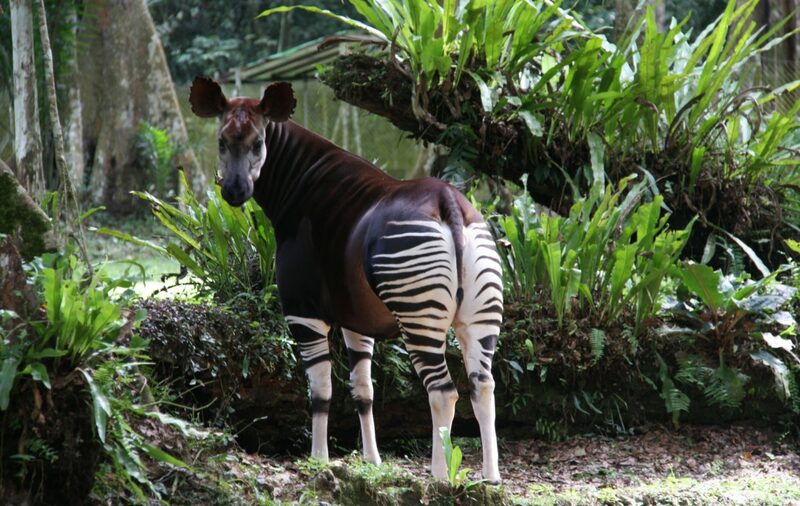 Protecting the vanishing okapi in these inaccessible forests also protects the forests themselves and their huge diversity of wildlife. The work of OCP is rising to this critical conservation challenge, and we must ensure that it continues.